From Route 219 North into Northern Cambria, where 219 becomes Bigler Avenue, turn right on 24th. 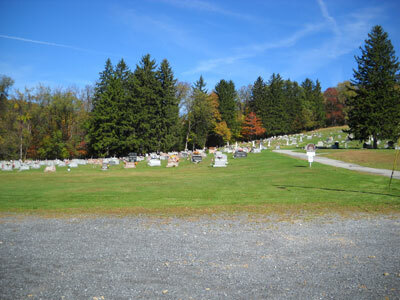 The cemetery is located on the hill behind Prince of Peace Church (formerly Holy Cross Church), at 24th and Campbell, two blocks off Bigler, and goes to the top of the hill. The church's address is 2410 Campbell Avenue.